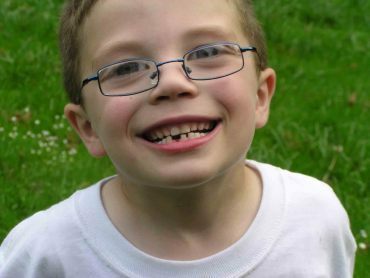 Kyron Horman would be 10 years old this Sunday. Maybe he will be. According to his Father Intel engineer Kaine Horman, his only son is alive and well at an unknown location “secreted” away by an unknown person with an unknown connection to his estranged wife Terri Horman. Kyron Horman’s biological Mother, Desiree Young, or Momma as he called her, believes Kyron is either alive or deceased- both locations known to Terri Horman and possibly others. Kyron’s case has once again been featured on Jane Velez Mitchell and is scheduled to be featured on Americas Most Wanted . Reader interest in what I have affectionately dubbed our “red eyed tree frog dude” has produced well over 20,000 comments on this site alone. In our upcoming report series, Blink On Crime, in conjunction with contributing BOC legal analyst Washington Attorney Lea Conner intends to review both current information in detail as well as exclusive new information developed by Editor In Chief and Chief criminal analyst, S. Christina Stoy. Part I: Desiree Young V Terri Horman Case : The Little Engine That Could, Or Could Not? Part III: The Big Muscle Theory- Does It Have Weight? Part I publishes Tuesday September 11.